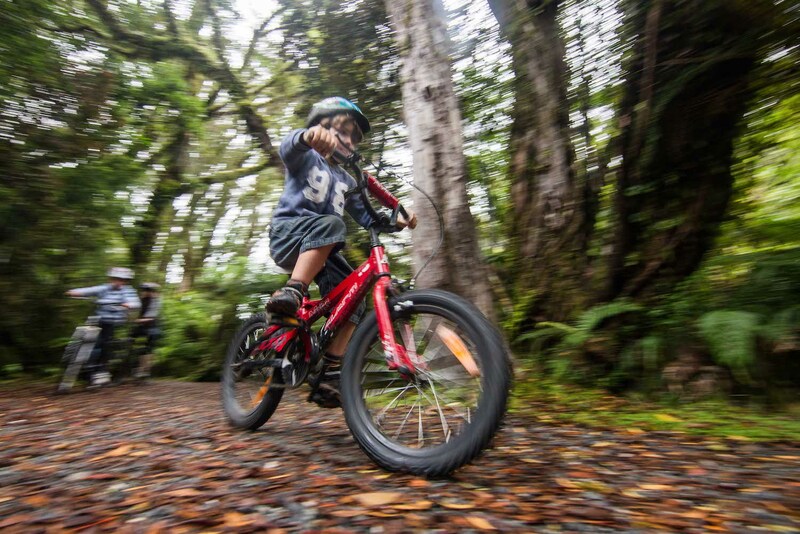 Walk or cycle through bush from Franz Josef Township to the Franz Josef Glacier car park. This is a shared-use track. 8.7km return via same track. Walking 2hrs on an easy wide track through native bush. Mountain biking = 1 hr. No dogs allowed. 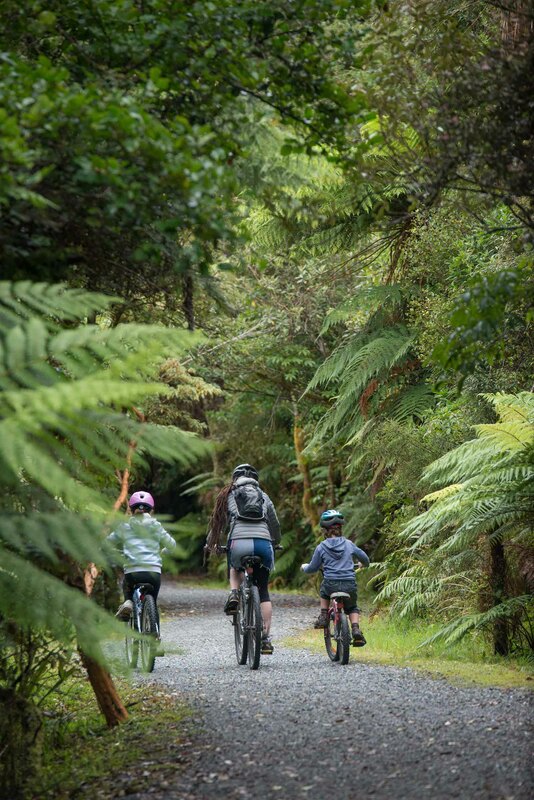 The walking and cycling track starts from SH6 just after the Waiho bridge, running along the left hand side of the Glacier Access Road for approx 1.7km on a sealed lane marked for walkers and cyclists. Keep off the road lanes. It then heads into the forest on the left hand side of the road for a short time, before re-emerging and crossing the Glacier Access Road, and heading back into the forest on the right. Take care to give way to all traffic and cross carefully. There is a bike rack at the end of the walkway / cycleway. There is no bike access on any other tracks in the area.